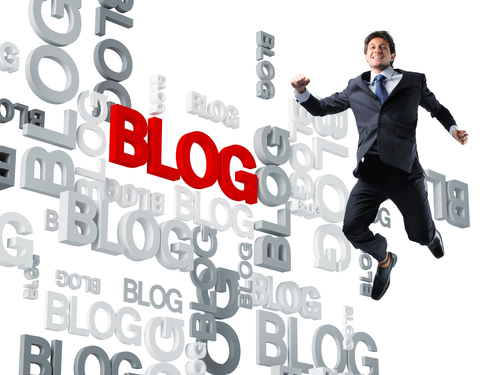 Current statistics show that there are over 150 million active blogs. Many are SMBs trying to assert themselves in the blogosphere to build their brand. Such daunting numbers cause many business owners to question the value of blogging, especially when they have so many other priorities. The problem is that most business owners don’t understand what it actually requires to have a successful blog. Just like anything else it takes take time, commitment, strategy, consistency and persistence. I’ve been managing the FeeFighters blog (Business Chops) for almost two years. Before that, our CEO was managing it for another two years. That’s four years of content and commitment that have helped FeeFighters stand out in our industry (credit card processing). Our blog is one of our most powerful tools to show leadership, personality, and expertise. Make Content You’re Proud to Show Off- Many SMB blogs have content just for the sake of having content. Think about what you want your blog toaccomplish and then make meaningful content to achieve those goals. For example, in the FeeFighters blog, we write extensively about credit card processing in order to showcare our expertise in the industry. However, we also write about other aspects of SMBs to show that we are well rounded and understand SMBs owners have a lot on their minds. Involve Others-To avoid your blog becoming flat or one sided, try to involve other contributors. This may mean asking team members to contribute posts regularly, hiring outside writers, or allowing meaningful guest posts on the blog. Being part of a team of contributors will help you stay motivated and will make blogging fun instead of a boring task. Obviously there are many other ways to make your blog work for you. Having posts that are SEO optimized and rich with keywords that are important for your business can boost your SEO efforts. Making sure content is easily able to be shared (Tweet and Like buttons) will boost social media efforts. The list goes on and on. However, having the fundamentals in place will make the other opportunitiesmore interesting and less time consuming.